Copy trading, also known as auto trading or mirror trading has been on the rise over the last decade. It simply allows traders to participate in the financial market by copying trades from seasoned and experienced traders. This form of trading offers a suitable trade option to the inexperienced traders or those that lack the time to trade. Here are a few ways you could choose a profitable trader for copy trading. Since you are interested in making profits, the first step is checking the trader’s profit margins. Has the trader been making profits consistently over a period of time? The best period to look out for is one year. There are a few who have made huge profits over a short period of time but unfortunately, this doesn’t mean that they will continue to make profits in the long run. The sum might but to be in the safe side, always check profits in the long run, probably a year. Also, a trader might just be convinced that since they have made a substantial amount of profit in a few months, they are likely to continue with the same trend. They might have been lucky and found a smooth trend in a particular market. But what if the market changes? Will they manage the same profit margins? If you need to become a successful trader, in the long run, you will need to find ways to control losses. In forex trading, losses are common, even the best forex traders with years of experience have experienced losses at one point. But how you manage the losses determines your relevance in the industry. Forex trading is about taking high risks. Through high risks, it is possible to make more than 30% in a month. However, when these risks dot pay off, you might be left with a loss of more than 50% the next month. This can highly affect your trade. So when looking for a trader to copy, look for someone with a good strategy that would seek to minimize losses. Sudden huge returns in a short period of time is a clear indication that the trader was involved in a high-risk trade and possibly staked high. It is good when it goes the right way all the time. But chances are that no one can be very accurate on this. A trade that doesn’t go well can highly affect a high-risk strategy. This highly reduces your chances of gaining profits in the long run. So if you need to gain profits, in the long run, avoid people with such strategies. Instead, focus on someone with a steady flow of profits. — Above 6 – high risk. Always go for people with risk scores between 0 and two. Note that considering high risk doesn’t necessarily means high gains in the long run. Most of them always end up failing. Martingale is a process where you double your bet every time you lose. The process is common worldwide and mainly used by gamblers, especially in roulettes. Variations of these critically defective systems have been common especially in inexperienced traders. This is where traders simply double their trade as the market goes against them. If for instance you place a trade with 20 dollars and you lose, you place the next trade with 40 dollars. You will continue doubling your bet until you win. This kind of strategy has worked on several occasions in the casino but not in forex trading. Most forex trade beginners have used this strategy because the system at first offers an amazing success rate some even going up to 100% success rate. Don’t fall for this even if you find the person with back to back gains. The profits may only be in the short run. Everyone gets excited when they enter the trade and immediately earn profits especially if you are a copier. Nobody likes waiting. This applies to copiers who are new to the industry and are excited about the new opportunities to make profits. 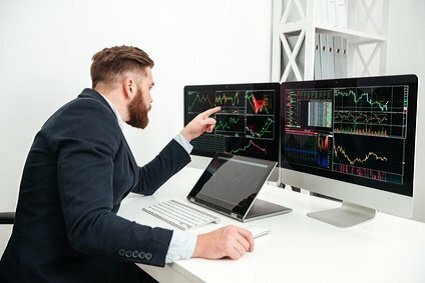 As a newcomer in the industry, you should avoid constantly checking the screen for successful traders. This will excite you since short term valuations fluctuate constantly. There are times when the market is highly volatile, sometimes they can be flat for weeks and makes it difficult to find a decent trade. Don’t check on profits regularly on your screen. You may easily get frustrated when you don’t see much movements in terms of profits or maybe the prices wouldn’t be as per your expectations. You may sometimes pay commission to follow a trade or pay a spread for every trading operation. If the trader you are copying doesn’t earn enough to cover the trading fees, you might be copying a successful strategy that may not be profitable. Most people have successful trading operations when they get 2 to 3 pips and thereafter have good operational chars. But when you have to pay 1 to 2 pips for every operation, you will end up with nothing and incur a loss in the long run. Therefore when choosing a copier, go for those with an average of 4 to 5 pips on every operation. This way, you are able to pay all trading fees and making profits. Copy trading is a great way to earn from experienced traders in forex trading. However, finding the right trader to copy seems to be the challenge with most beginners. It is not only about searching through the system for the most successful traders, but it is also about research. If you do your research well, you are likely to find a trader that will help you gain profits in the long run.